One of the most important tasks in finance is to find good mathematical models for financial products, in particular derivatives. However, the more realistic the model, the more practitioners face still-unsolved problems in rigorous mathematics and econometrics, in addition to serious numerical difficulties. 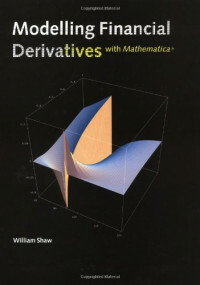 The idea behind this book is to use Mathematica® to provide a wide range of exact benchmark models against which inexact models can be tested and verified. In so doing, the author is able to explain when models and numerical schemes can be relied on, and when they can't. Benchmarking is also applied to Monte Carlo simulations. Mathematica's graphical and animation capabilities are exploited to show how a model's characteristics can be visualized in two and three dimensions. The models described are all available on an accompanying CD that runs on most Windows, Unix and Macintosh platforms; to be able fully to use the software, Mathematica 3 is required, although certain features are usable with Mathematica 2.2. This product will prove of inestimable worth for financial instrument valuation and hedging, checking existing models and for analyzing derivatives; it can be used for professional or training purposes in financial institutions or universities, and in MBA courses.